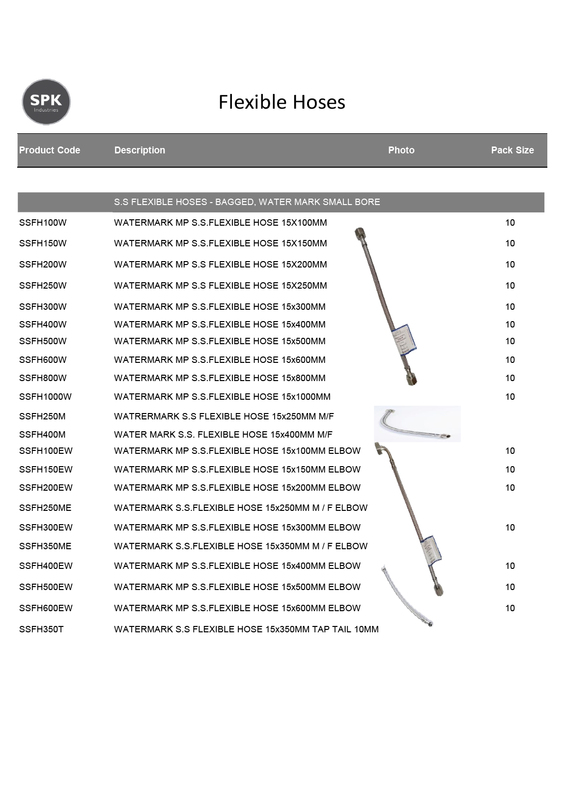 SPK Industries range of stainless steel braided flexible hoses are well established in plumbing merchants and recent improvements have seen the range become Watermark certified. These hoses have a full bore inner tube, allowing superior flow rates. The EPDM tube also provides safe operation in both hot and cold water applications. 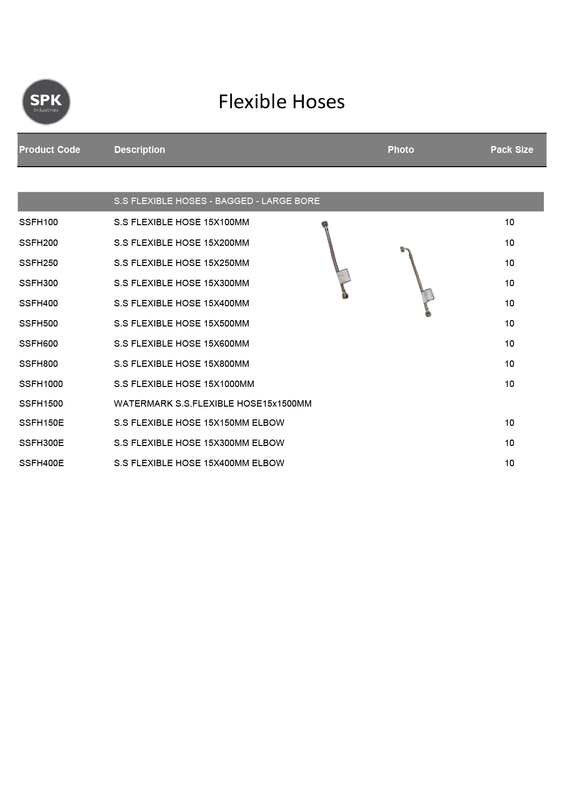 See SPK Industries selection of flexible hoses below.